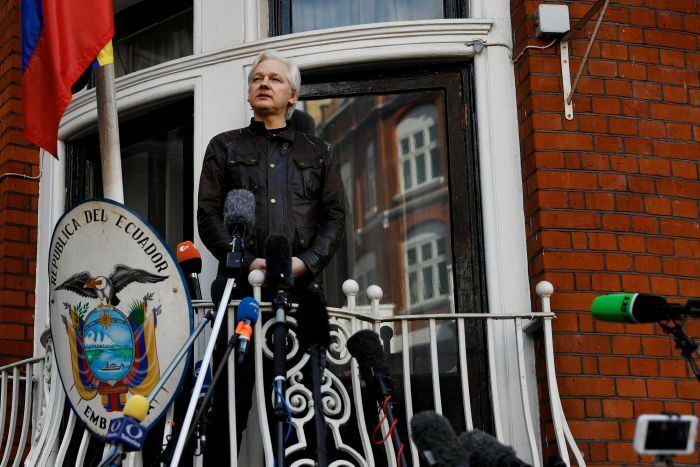 WikiLeaks says its founder Julian Assange has been the subject of a sophisticated spying operation in London’s Ecuadorean embassy where he has been holed up since 2012. WikiLeaks said video, audio, photographs, copies of private legal documents and even a medical report turned up in Spain, where a group threatened to start publishing unless they were paid three million euros ($4.7 million). 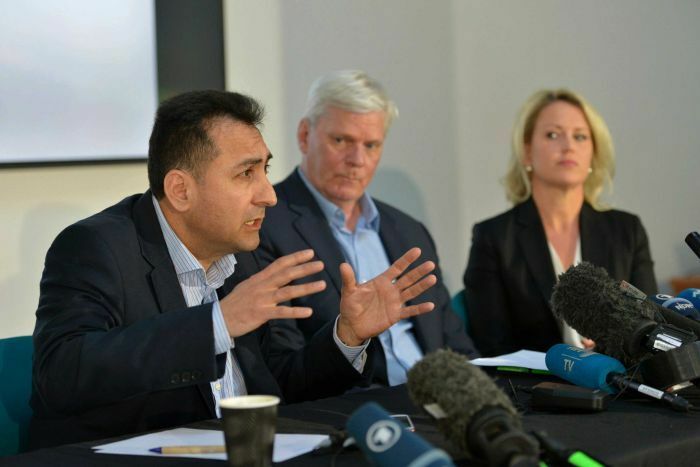 “Extortion is a very serious matter but of much greater concern to me is this material-gathering and spying on Julian Assange by the [Ecuadorean] government,” Mr Hrafnsson told reporters. The Ecuadorean embassy in London did not immediately respond to a request for comment. Mr Assange’s relations with his hosts have chilled since Ecuador accused him of leaking information about President Lenin Moreno’s personal life. President Moreno has said Mr Assange has violated the terms of his asylum. But to others, he is a dangerous rebel who has undermined the security of the United States and its allies. Mr Hrafnsson said eviction attempts had been escalating and that WikiLeaks received information last week that it could happen within hours or days. He did not immediately give evidence for his assertions. Reuters was unable to independently verify the allegations. Mr Hrafnsson said the surveillance at the embassy was part of an escalation designed to achieve the result of having Mr Assange extradited to the United States. Mr Assange took refuge in the embassy to avoid being extradited to Sweden where authorities wanted to question him as part of a sexual assault investigation. That probe was later dropped but WikiLeaks has voiced fears that the US will prosecute Mr Assange. In November 2018, an American court inadvertently revealed the charges against Mr Assange in US federal court documents. 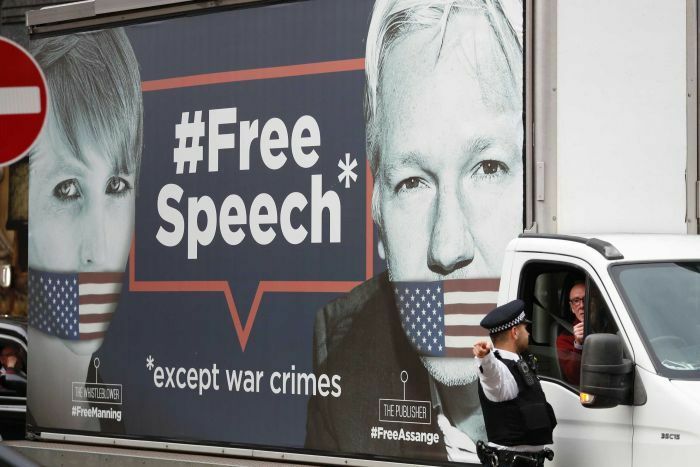 The United Kingdom has an extradition treaty that would allow British police to arrest the Wikileaks founder and transport him to the US. WikiLeaks angered Washington by publishing hundreds of thousands of secret US diplomatic cables that laid bare often highly critical US appraisals of world leaders from Russian President Vladimir Putin to members of the Saudi royal family. Later that year, the group released over 90,000 secret documents detailing the US-led military campaign in Afghanistan, followed by almost 400,000 internal US military reports detailing operations in Iraq. More than 250,000 classified cables from US embassies followed, then almost 3 million dating back to 1973.